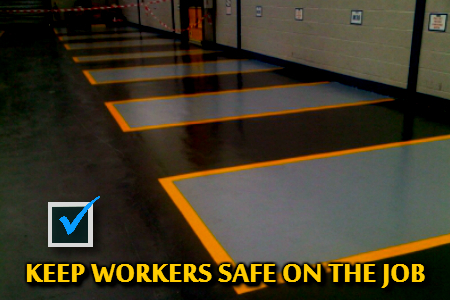 Columbia Basin Striping offers Effective Interior Warehouse Striping which helps improve safety and efficiency . We deliver a level of professionalism that (CBS) Columbia Basin Striping is very proud of. If you need a product that is going to last for many years, we guarantee our work so you will always feel confident in the final product. Warehouse line painting is an art form when done properly. Feel free to give us a call for a quote today.